If you’ve never tried stuffed artichokes, you’re missing out! They are a delectable Italian specialty and although they take quite a while to eat, they are well worth it in my book. 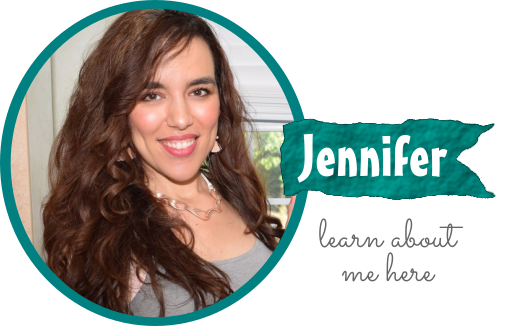 Making them is not as time-consuming as you might think! 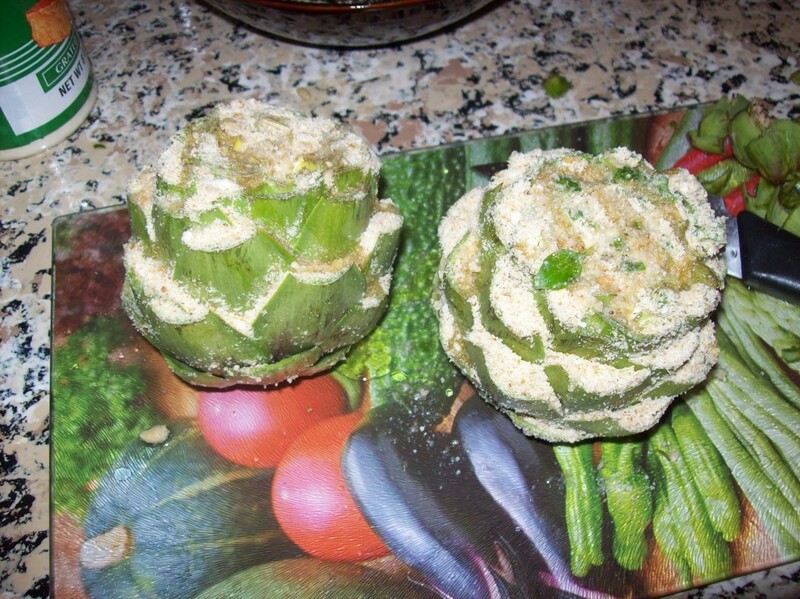 Just mix together the stuffing, prep the artichokes, stuff them and steam them. It really takes less than an hour, and more than half of that is just letting the artichokes cook on the stovetop. 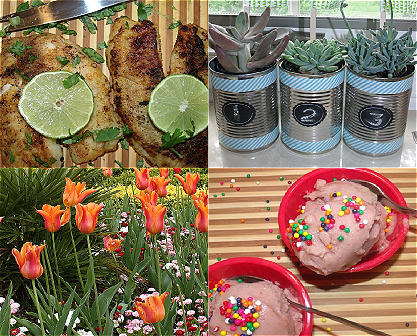 I created this recipe just using my imagination of what would taste good in this recipe. It is not a traditional Italian recipe for artichokes, but I think it tastes pretty darn good. Wash the exteriors of the artichokes and trim the top tips of the leaves all around. Slice off the stem and the top leaves. 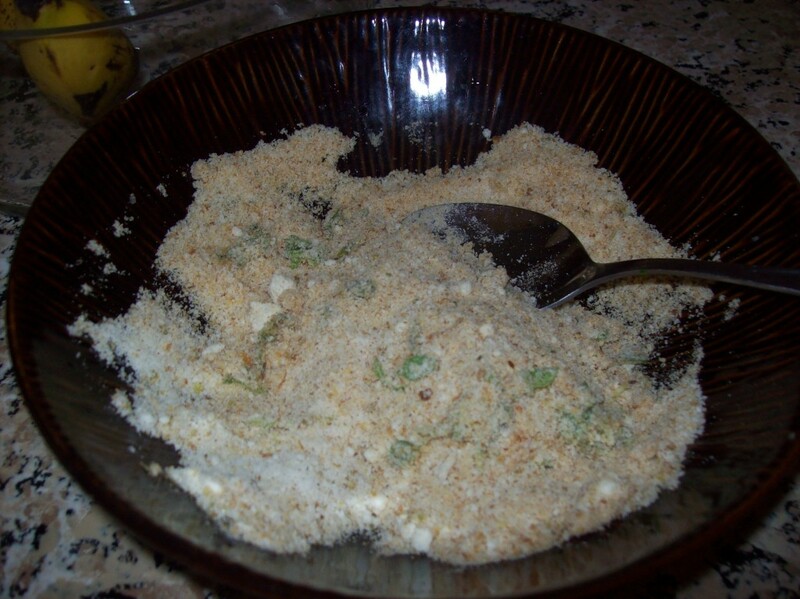 Combine the breadcrumbs, cheese, basil, and lemon juice in a bowl. 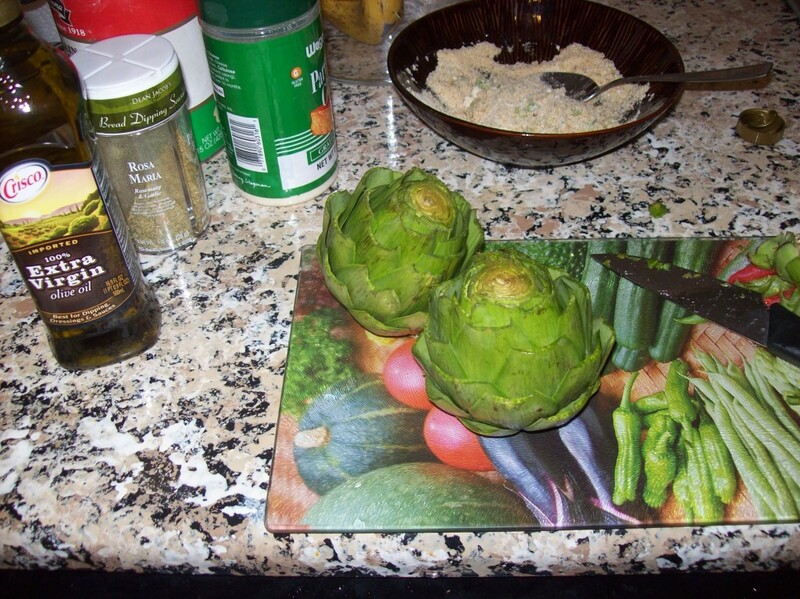 Using a spoon, pull apart each artichoke leaf and deposit some stuffing in the gap. Continue doing that all around the artichoke. Drizzle the olive oil over the top of the stuffed artichokes. 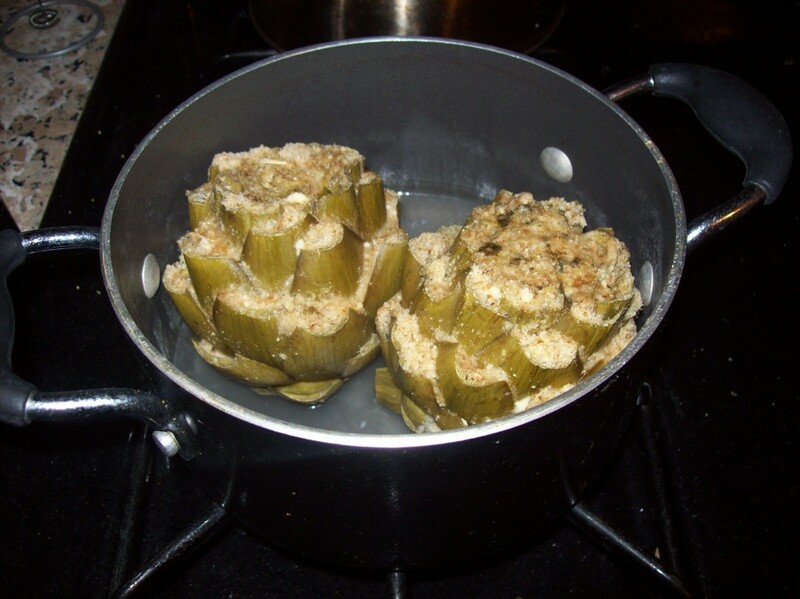 Place the artichokes right side up, in a few inches of water in a small pot. Bring the water to a boil and cover. Let cook for about 35 minutes, until the leaves are tender and pull apart easily.